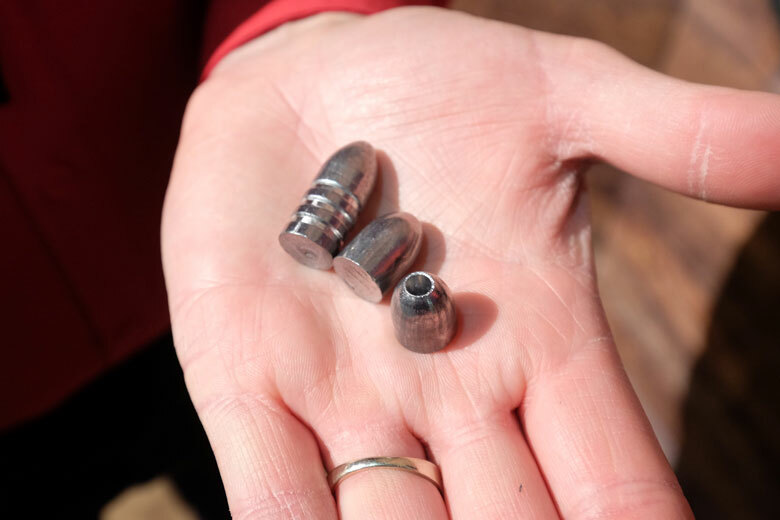 …and here’s a reminder of just how big those 50 caliber slugs really are! 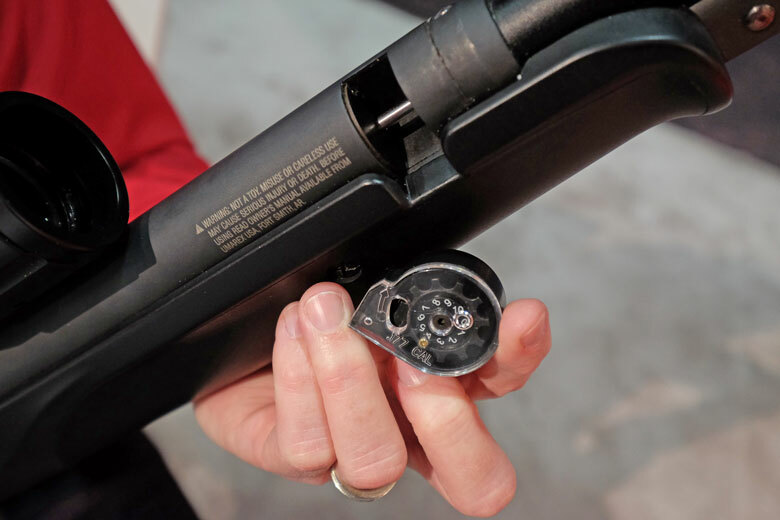 Umarex pistol news in this SHOT Show 2019 report includes the much-anticipated Glock blowback models. 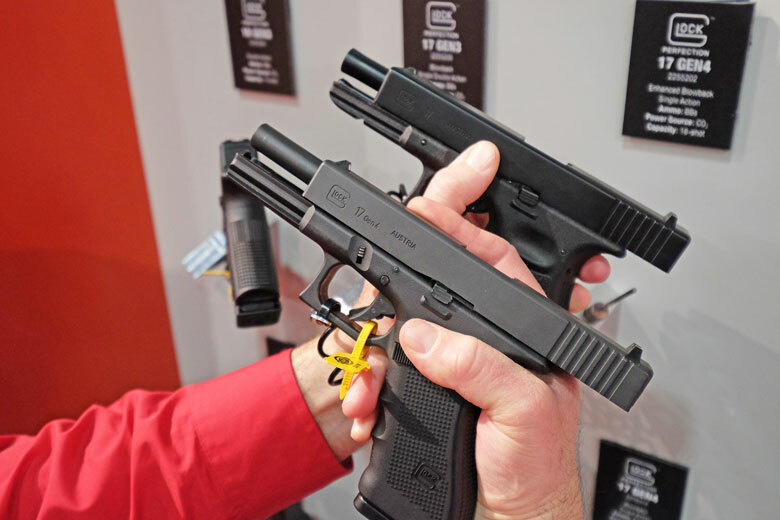 There’s a new Glock 17 Gen 3, together with a Gen 4 version. 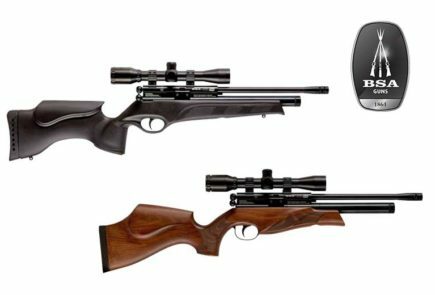 The difference in the airguns is that the Gen 3 has a blowback slide, while the Gen 4 has “enhanced blowback” with a much greater travel. Here we see the Gen 4 in front of the Gen 3. Note the difference in slide travel. Bot are fully locked back. 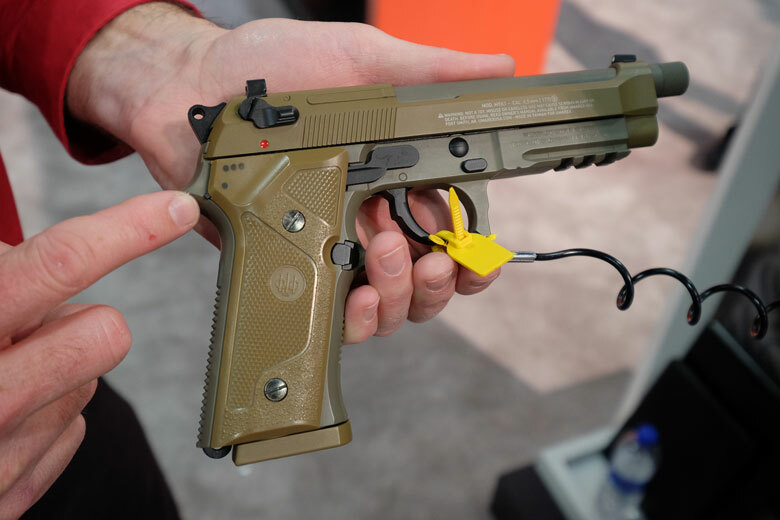 Another new Umarex CO2-powered replica air pistol is the Beretta M9A3. 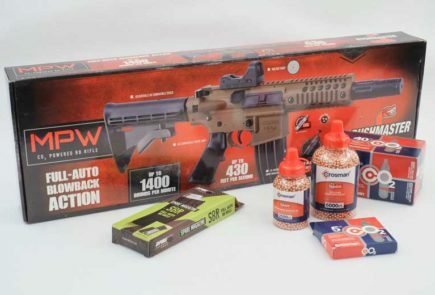 This is a full auto model in Flat Dark Earth with a 18-BB capacity drop free magazine. 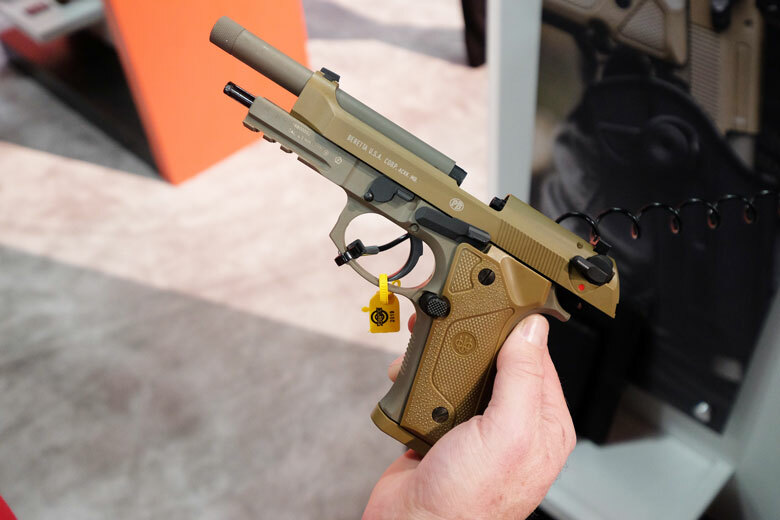 Again, the M9A3 features a realistic, full travel blowback. 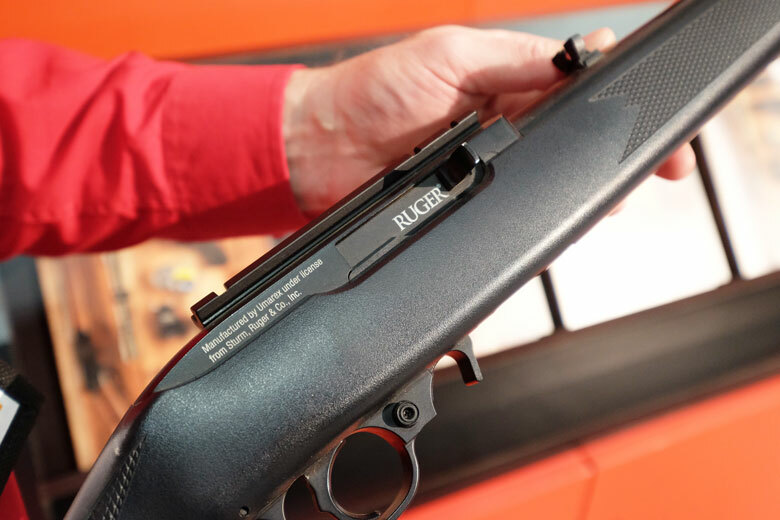 The new Ruger 10/22 replica is another new CO2-powered airgun. 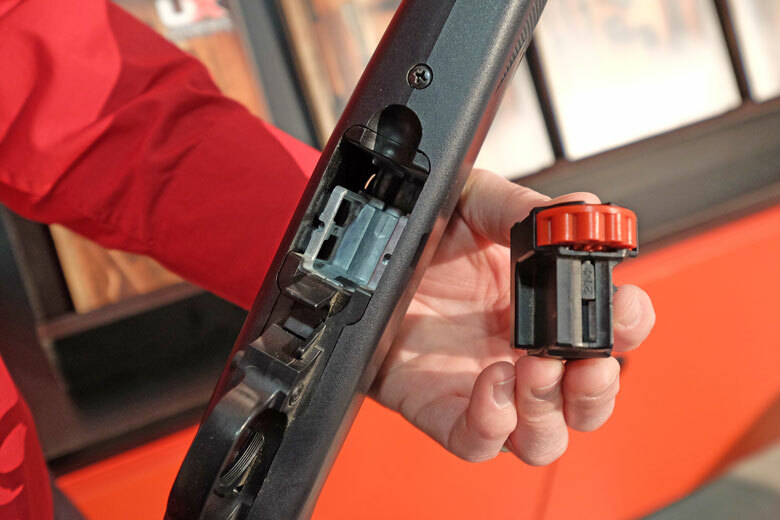 Here we see some close ups of the magazine system. 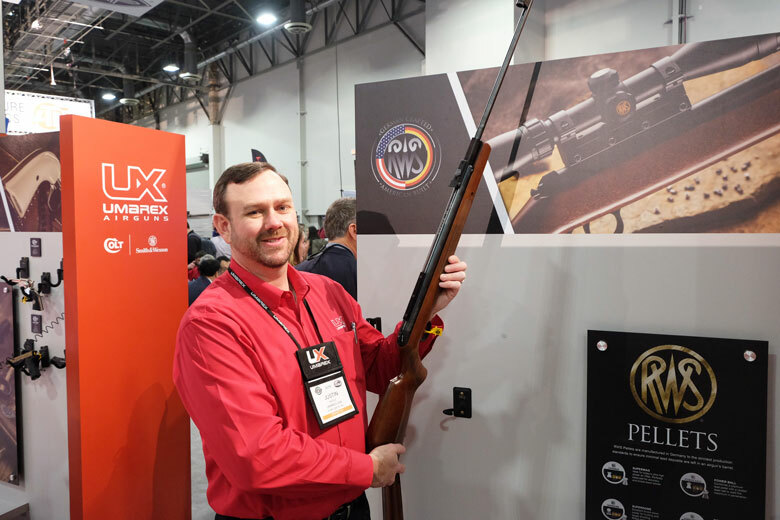 Overall, this is an accurate-looking reproduction of the classic Ruger semi-auto firearm, although somewhat lighter than the original. The CO2 cartridges fit up inside the buttstock, rather than in the magazine. 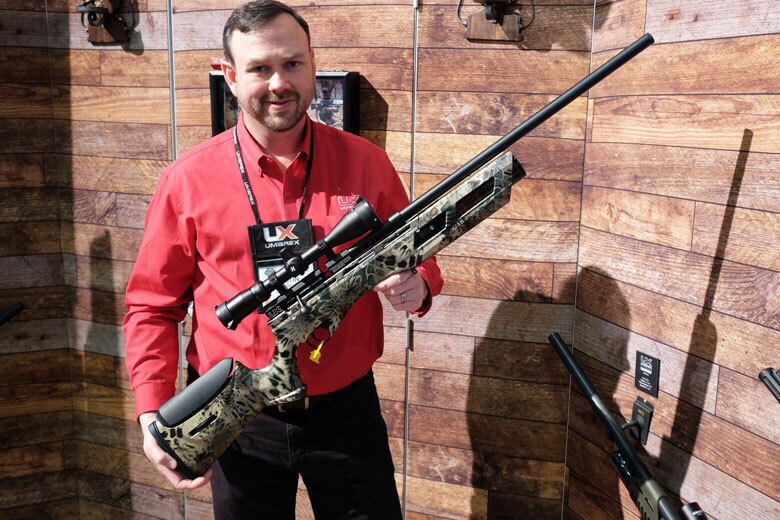 Another new introduction by Umarex at the SHOT Show 2019 was the Synergis. 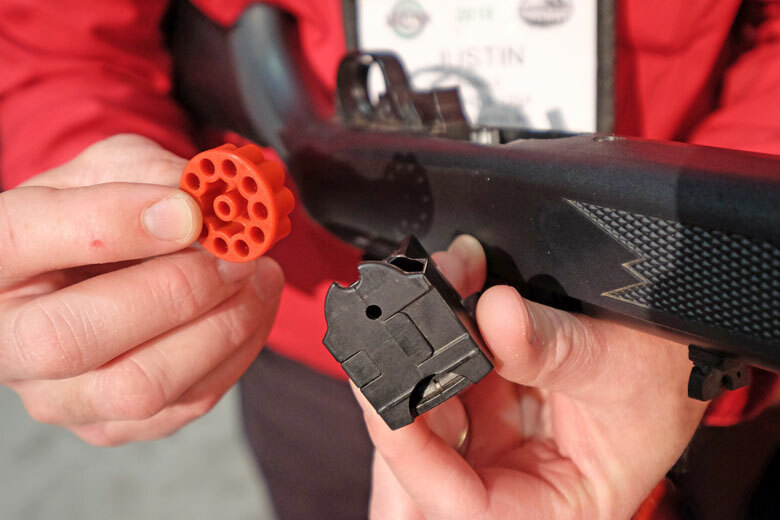 This is a magazine-fed, underlever air rifle with a 12-shot magazine. It’s powered by a gas ram. Here we see a close-up of the Synergis magazine. Finally – phew! 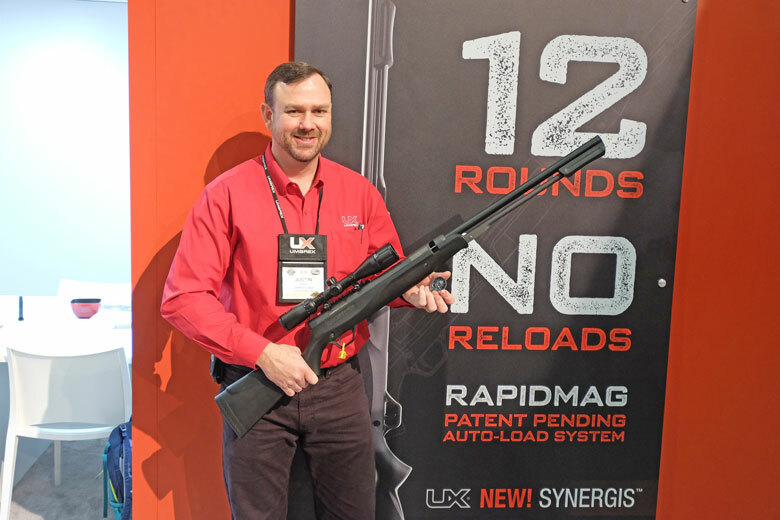 – Umarex used the SHOT Show 2019 to announce that they will be assembling a range of RWS breakbarrel air rifles at their facility in Arkansas. These are the RWS Model 3400 and 3500. JB told me that these combine Italian Minelli stocks with German parts and US assembly. 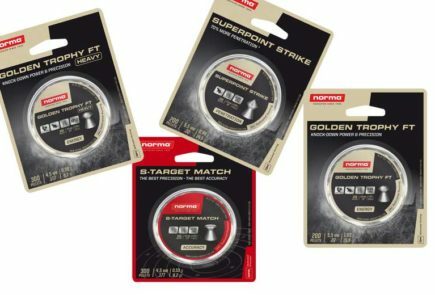 They are available in both .177 and .22 calibers, with the 3500 being more powerful. There are also spring/piston and gas ram versions. The 3400 and 3500 both have limited lifetime warranties. 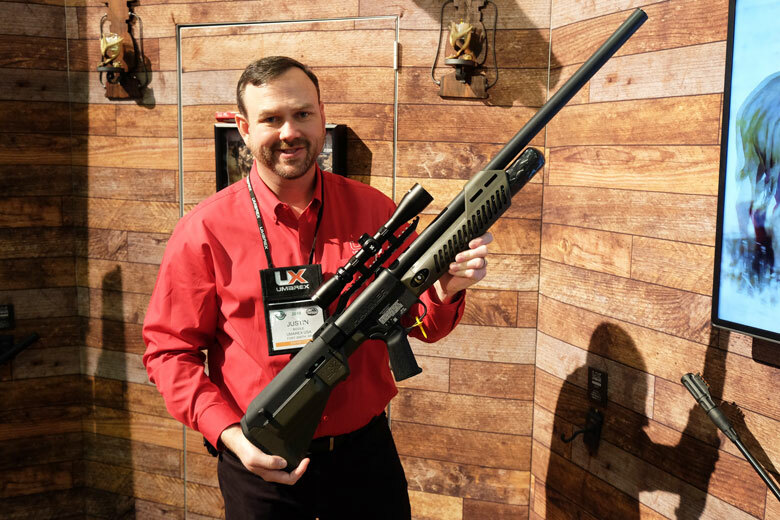 There’s plenty more news still to come from the SHOT Show 2019!